Hello all you car enthusiasts, I present to you Project-Drift, it’s a non profit organization dedicated to helping out the people with the spirit and will to be committed drivers in drifting, but are struck down by today’s economy. 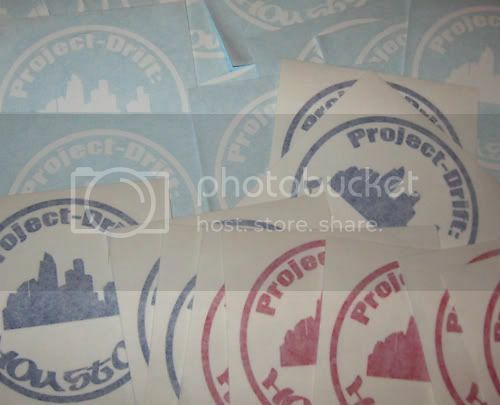 What we offer from Project-Drift is the essential tools that most drifters lack in their times of need, stuff such as tires, entrance fees, and prizes to the top drivers to have that sense of accomplishment. I started Project-Drift as a way to help these people out and increase the participation at local events, which brings out more spectators, and helps the drift “scene” grow to where it used to be. 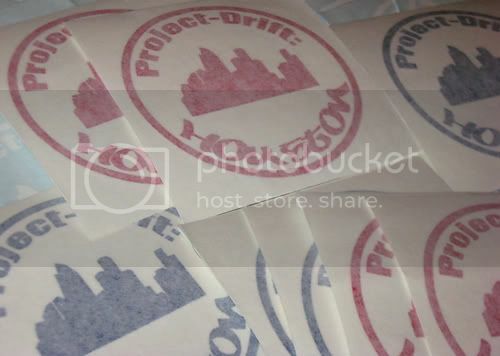 CLICK HERE to Donate to Project-Drift! Season passes to Mineral Well’s Airport (Dallas/Ft. Worth area) drift events held by Fabricated Motorsports. As of right now we are exclusive to Houston to see how it will work out and plans for next year we should be state wide! Big thank you to Sideways Vinyl for their help with the stickers, which should be out this week! Thank you to Aaron Losey of Fabricated Motorsports, for helping out! We can get any color you like but special orders will cost $7.00 for "normal colors" and $10.00 for "metallic/holographic colors"
Submit your application to have a chance to be a Project-Drift Sponsored driver for the Mexican Standoff!!!!!!!! Last edited by Krimlin; 06-18-2010 at 07:03 AM. That's awesome of you. This coming event will be my first. Hopefuly first of very many. I am paying for one person's entry fee for one event. good idea man. the scene is doing a lot better than it has been but we need more people to get into it! When the time comes send a PM to me a reason I should pay for your spot! Wow! Good job but make sure the person your giving this to actually appreciates this! And on that note choose me for gss my car will be ready then. 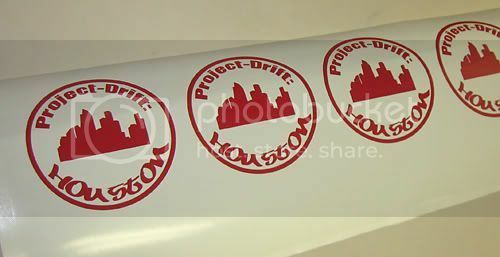 I'm in the process of getting Project Drift Houston stickers designed, soo keep looking! Nice, just got a paypal set up! cool man just let me know.i aint ballin but i'll put in what i can. Last edited by badname; 09-13-2011 at 05:15 AM. "The Nissan 240sx. It's alot of sportscar, but you can handle it."